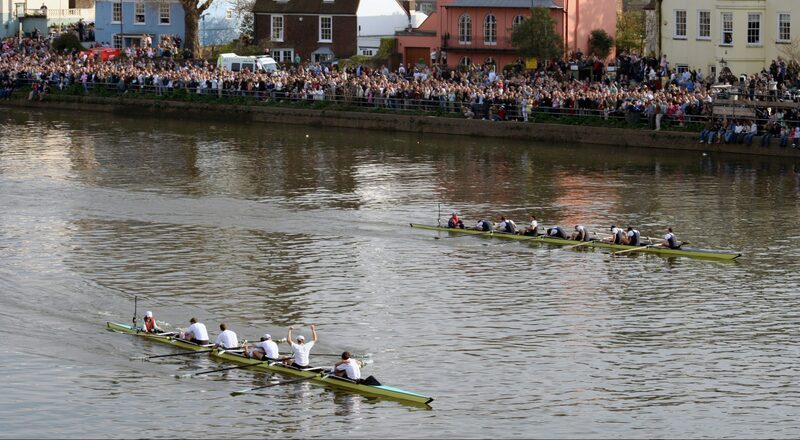 The annual Oxford vs. Cambridge Boat Race, which will take place this Sunday 7th April, is perhaps the most widely watched university sporting event in Britain, drawing around a quarter of a million spectators to the banks of the Thames each year. Competition for one of eight seats and one coxswain position in each of the four boats (Men’s and Women’s Blue boats as well as the second boats, Isis and Osiris) has been incredibly tight and the Boat Race marks the culmination of each team’s training since last September. As preparations for both the 165th Men’s and 74th Women’s Boat Race head into their final few days, The Oxford Student spoke to two rowers as they prepare to take to the water. Eleanor Shearer, the OUWBC President, is returning to cox the Women’s Blue Boat, having coxed for the Women’s Blues in 2017 and Osiris in 2018. Felix Drinkall, the OUBC president and junior world champion, will row for the Men’s Blue Boat at number 6. 2019 is his second year in the Blue boat. How long have you been rowing and how did you get into it? Eleanor: I started rowing in 6th Form in 2012. I have always liked outdoor sports, and also have always loved being in or around water, whether it’s rivers, lakes or the sea, so rowing seemed like a good pick. I really enjoyed being in boats right away, and knew when I came to Oxford that I wanted to continue. However, because I had accepted I probably wasn’t going to get any bigger (I’m 5’3 and about 50kg) I knew that switching to coxing would be the best way for me to compete at a higher level. Felix: I have been rowing since January 2014. I started at school and enjoyed a fun introduction to rowing, the goal of which was to make sure people had fun whilst doing the sport and provide the passion for being in a boat. I made a lot of friends and enjoyed being on the water so it was an easy step to make to start taking it more seriously and to try and win races. It’s that enjoyment of being in a team and pushing yourselves together that makes the whole process very fulfilling. What sort of preparation and training are you doing for the race? Eleanor: At the moment, we are staying in London and training on the river twice a day. The rows this week are shorter than they would usually be – around an hour as opposed to more like an hour and a half – because we want to keep people fresh for the race on Sunday. Felix: The Boat Race is pretty unique in the rowing world in terms of its distance and unpredictability which makes it an interesting race to prepare for. Ultimately it’s a very long race, so we work on our fitness and technical efficiency daily to give us the best chance of going fast on the day. In the Boat Race you need strength to start the race and endurance to finish it, so we primarily use weights and indoor rowing machines to train both areas of physiology. Eleanor: Psychologically, we just try to be really open with each other about how we’re feeling and help each other keep our nerves in check and focus on delivering the best possible performance at the weekend. Felix: The unpredictability of the race makes it a very fun event to be part of. You’ve got to be ready for every situation. We’ll watch previous years’ races in order to build up knowledge of racing on the tideway and of what can happen in a race. We’ll speak to alumni about their races in order to build up a bank of experiences. Primarily though we will look to control the controllables, we’ve found that this gets the best response from our crew. Does last year’s race impact on this one or does each year feel separate? Eleanor: My experience every year has been pretty different, but that’s partly because between 2017 and 2018 we got a new coach. This year, having the same coach as last, I’ve definitely noticed similarities. But it never feels like the result from last year means much – the clubs on both sides usually have a fair amount of turnover year to year so each season feels like a bit of a fresh start. Felix: We take experience from the years that have been and gone to make sure that we are better prepared for certain situations and so that we continue to improve as a programme. However, each year is its own project and the results in previous years have very little bearing on any future results. We have a number of people with a great deal of experience within the OUBC, whether that be in the Blue Boat or in our second boat ‘Isis’. However, of the 18 people who competed for both Oxford and Cambridge in last year’s Men’s Boat Race only 3 have returned for this year’s race. That stat alone tells you how different this race is. How does it feel to be part of such a big sporting tradition? Eleanor: It feels incredibly special to be a part of the Boat Race, especially the Women’s Race. I am always acutely aware of all the incredible women that came before me and paved the way for the women’s race to be able to be on the same platform as the men, and it’s great to feel connected to that history. Every year, before the race, when we stay in London, alumni from as far back as the 1970s will send cards and letters wishing us luck, which is a great reminder of how many people there are behind us. Felix: It’s a huge privilege to be entrusted to represent OUBC this year. For most of the season you can forget how big the race truly is and the impact that it has had on people’s lives. Only really through meeting and talking to alumni do you realise the enormity of it all. However, the size and history of the event doesn’t affect our one objective: to win a rowing race. The Women’s Boat Race will start from Putney at 2.13pm this Sunday, followed by the Men’s at 3.10pm. Both races will be covered by BBC1 and BBC5Live Radio.